Lee Falk had a passion for the theatre, and he wrote several plays including two musicals. During his lifetime he ran five theaters, produced about 300 plays and directed about 100 of them. These summer theatres were resident equity company, supplemented by guest stars from theatre and film (and later television). The season started late in May and each play normally ran for one week. The actors received a "normal" payment to perform but the guest stars often had in their contracts a percentage of profit of the play. A common contract could be 10% of the gross with $750 per week guarantee. Since most of the plays made very little profit most of the guest stars worked for a fraction of what they would normally earn. According to Phil Davis Louise Falk, acted in one of the summer stock companies at Connecticut in 1939. I assume that Lee Falk met John Huntington during the season. Anyhow, after reading Lee's play "Festival at Salzburg", John Huntington urged Lee Falk to join in producing summer stock at Brattle Hall (location: 40 Brattle Street, Harvard Square, Cambridge, Massachusetts) in the 1940 season. 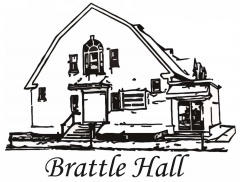 Miriam Battista, John Huntington and Lee Falk as managing trio, for an 8-week season at Brattle Hall. Among the stars reported engaged in June were Walter Slezak, Sheila Barrett and James Rennie, and the plays to be presented will include "The Good Fairy", "Biography", "Corespondent Unknown", "The Spider" and perhaps a new play by Mr. Falk. Co-sponsored by John Huntington and Lee Falk, and with Louise (acting name: Louise Kanasireff) as an actress in the resident company. The production staff included Wylie Adams as stage director, Frederic Lynwood as stage manager and Nina Wentworth as production manager. The 1942 season was announced to last 18 weeks and as co-sponsored by John Huntington and Lee Falk. Due to Lee Falk's WWII obligations this was changed to the co-sponsorship of Louise Falk and John Huntington. The same policy as last year with well-known guest stars from Broadway, Hollywood and the radio, supported by a resident company of professional players. The attractions changed weekly, with Wedensday and Saturday as matinee days. Robert E. Perry both acted and directed this season. Early May the season was announced: Within the first weeks will appear such stars as Conrad Nagle, Fay Wray, Ann Corio, Glenda Farrell and Jinx Falkenburg. Later in the summer there will appear Madeleine Carroll, John Boles, Edna Mae Oliver, Mischa Auer, John Carradine, Ruth Chatterton, Billie Burke and Edward Everett Horton. ↑ Presented by John Huntington in association with Brock Pemberton. ↑ By Theatre Guild ? Presented by Louise Falk and John Huntington, with Louise Falk (acting name:Louise Kanasireff / Louise Valery) as an actress in the resident company. Robert E. Perry both acted and directed this season. 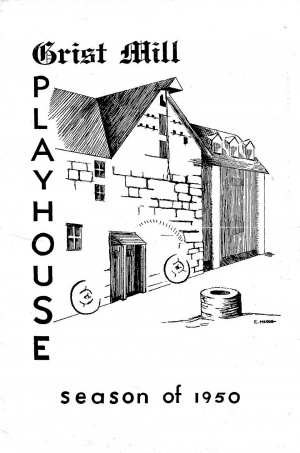 The Cambridge Summer Theatre and Providence Playhouse (operated by Charles Howard & Wendell Corey) joined hands this season, and the various productions were put up one week at the Cambridge Summer Theatre and one week at the Providence Playhouse. ↑ Their 50th production in four years. Presented by Louise Falk and John Huntington, with Louise Falk (acting name: Louise Valery) as an actress in the resident company. Robert E. Perry both acted and directed this season. Among the stars likely to appear this season are Madge Evans, Billie Burke, Gloria Swanson, Ralph Forbes, Clare Luce, Brian Donlevy, E. Everett Norton, Nancy Carroll, Ruth Chatterton, etc. Presented by Lee Falk and John Huntington. Director for the summer stock theatre was Neil McFoe Skinner, who "managed" in 1940. ↑ during the rehearsals it was named "Easy Does It"
Returning in 1946 Lee Falk and John Huntington found that they could manage to operate one more summer theatre, if they could produce a play a week at the new Boston Summer Theatre and then move it to Cambridge the next week. One more thing was that television was beginning to compete with theatre and movies. One way to attract audiences was to bring in complete travelling shows from New York. These shows could easily be booked to play two theatres in two weeks. The season of 1947 at the Cambridge Summer Theatre was the last on involving John Huntington and Lee Falk. Lee Falk had divorced in 1945 and when he returned in 1946 he fell in love with an actress of the summer stock, Constance J M Lilienthal. They were married in August 1946. When returning in 1946 Lee started seriously directing and during this and the next seasons he directed a play every week. However, after the 1947 season he found that he could not operate his new summer theatre all by himself and the cartoonist Al Capp became his new silent partner in 1948. The Boston Summer Theatre was doing well for many years until 1957 when Lee Falk started to lose money. Al Capp had dropped out in 1956 and John Huntington came back for the 1958 season. But sadly, they still lost money and Lee Falk decided to throw in the towel. Presented by Lee Falk in association with Al Capp. ↑ presents by Lee Falk in association with Lucia Chase and Oliver Smith. Presented by Lee Falk: Boston Summer Theatre Festival. Presented by Lee Falk and John Huntington. ↑ "Hands Across the Sea", "Shadow Play" and "Ways and Menas"
Framingham Cinema  was part of "Shopper’s World Mall", the world’s biggest shopping Centre located at Worcester Road, Route 9, Framingham, Massachusetts. It opened on October 4, 1951. The large Jordan Marsh dome on the southern end (see second picture below) was the sole anchor store for the mall in the earliest days. The dome was visible from the air and was used on aeronautical charts as a visual reporting point for aircraft approaching Boston's Logan Airport. At the time, It was reputed to be the third largest (in diameter) unsupported dome in the world after St. Peter's Basilica in Rome and St. Paul's Cathedral in London. Lee Falk and Al Capp rented the Cinema during the summers of the years 1952–1954 to put up "the second week" of the plays from the Boston Summer theatre. The Framingham Cinema cancelled the last year of their contract and the County Playhouse operated only for the seasons of 1952 and 1953. Marlon Brando, Billy Burke and Ezio Pinza were some of the guest stars playing at the playhouse. July 8 "Nina" Edward Everett Norton Christopher Plummer, ..
August 18 "Jezebel's Husband" Robert Nathan Claude Rains Ossie Davis, Vinie Burrows, Ben Gazzara, Carmen Matthews, Claude Rains, Robert Emhardt, Ruth McDevitt, Judith Parrish, Claudia Morgan, William Leonard and Robert Kieth Jr. Produced by Lee Falk in association with Al Capp. (1) arrangement with Morton Gottlieb and Albert Selden. In 1952 Lee Falk said he had rented the North Shore Music Tent in Beverly, not far away from Marblehead. This might have been the start of the Marblehead Summer Theatre or some other project that wasn't realized. The North Shore Music Tent opened in 1954 as an open (open-air) summer-stock theater, but if Lee Falk was involved in the project is not known. August 15 "Blithe Spirit" Noel Coward Eva Gabor Alan Manson, Paula Laurence, Anna Minot, Muriel Pearce + "Stellar Brodway Cast"
Lee and his wife Connie used to spend parts of the winters in Nassau, Bahamas. During February and March a small theatre known as "Bahama Playhouse" operated at the British Colonial Hotel. Lawrence Langner, Martin Manulis and Charles Bowden had been operated the theatre for two years without any financial success. In 1952 they asked Lee Falk if he would like to manage the theatre and he accepted. Late 1954 the producer Frank Falk was plotting a new season and Shirley Boot said she in March 1955 was to play in "The Vinegar Tree" by Paul Osborn. But if the theatre still was operated by Lee Falk after the 1955 season is uncertain. February 16 "The Constant Wife" W. Somerset Maugham Judith Eveland Constance Moorehead, ..
Before its eight-week season under the direction of Lee Falk, the British Colonial Playhouse had undergone extensive renovations. The fourth winter season was under Lee Falk's direction and with Ralph Lycett as public relations manager. The plays were given Mondays through Fridays, mostly for seasonal subscribers, and then move to Capitol Theatre on Saturday nights for a pop-priced showing to the general public. For this season Lee Falk mentioned one play on Elizabeth the First: "either Elizabeth and Essex or Young Elizabeth" and a few actors: " Sir Cedric Hardwicke, Maria Riva, Farley Granger and Wayne Morris". In January he said either "Gigi" or "Bill of Divorcement" with Phyllis Kirk was lined up for February 22, followed by "Affair of State" with Louise Albritton. The three remaining plays were still to be announced. Lee Falk produced five musicals at the British Colonial Playhouse . Lee Falk was the producer on "On The Town" by Betty Comden and Adolph Green with music by Leonard Bernstein at The Grist Mill Playhouse (Andover N.J.) week of July 17, 1950. Staged by Carl Shain, Choreography by Beverlee Bozeman, Assistant Director: Paul Lamers, Set Designed by William Moore, Music Arranged and Executed by Dean Fuller and David Craig. Cast: Nancy Walker, Ruth Webb, James Jewell, Nita Naldi, John Sylvester, Chris Alexander, Robert Gallagher, Beverlee Bozeman, Faith Forte, Marilyn Gelber, Walter Neal, Portia Nelson, Steven Lee, Robert Calder, Robert De Voye, Eleanor Fairchild, Gordon Peters, Alice Thorsell, Betsy Stickney, Jean Timmerman, Zelene McDavit, Barbara Bronson, Robert Holly, Malcolm Stickney, Robert Hebbard, Lanny Gans. Lee Falk was the producer and director for the play "Winkelberg" by Ben Hecht at Renata Theater (NY) in 1958. It opened January 14 1958 and run for 58 preformances. Set Designer: Lester Polakov, Costume Designer: Don Jensen, Lighting Designer: Lester Polakov, Press Representative: Lewis Harmond & Sol Jacobsen, Stage Manager: Ernest Austin, Edward Roney and Bob Sugarman. Lee Falk was the production supervisor of the musical comedy "On the Town" by Betty Comden and Adolph Green at Spa Summer Theatre (Saratoga) week of August 7, 1950. Music by Lonard Bernstein, Staged by Carl Shain, Choreography by Beverlee Bozeman, Assistant director, Paul Lammers, Settings designed by Donald Shirley, Musical arrangements by Dean Fuller, Production supervised by Lee Falk, At the pianos Dean Fuller and Arthur Medoff. Cast: Robert Gallagher, John Sylvester, Chris Alexander, James Jewell, Gerry Lockerty, Gwyneth Dun, Kenneth Rosen, Portia Nelson, Beverlee Bozeman, Nancy Walker, Robert Calder, Robert de Voye, Ruth Webb, Eleanor Fairchild, Nita Naidi, Clyde Waddell, Vera Ferguson, James Feltner, Klaus Kolmar, David Roykouff, Mina Barstow, Katherine Jones, Dana Kraus, Faith Lavine, Judy Jones. Lee Falk was the director for the play "Roman Candle" by Sidney Sheldon at Spa Summer Theatre (Saratoga) week of June 27, 1960. Production designed and lighted by Charles J Hammer Jr.